My golfing buddies and I recently packed our clubs and headed down to Mexico for our annual Bajamar trip. 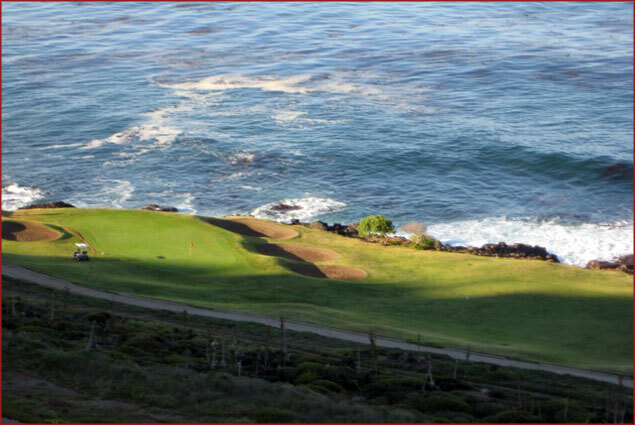 When you think about a Pacific Ocean golf resort with spectacular ocean vistas and challenging golf, Pebble Beach typically comes to mind. Not many people would think of Bajamar. This self-proclaimed “Pebble Beach South of the Border” is a surprising little gem of a golf resort located in Baja California, Mexico. If you like ocean golf (and let’s face it, who doesn’t), then this place is for you. Bajamar features three 9-hole courses – Oceano, Vista and Lagos – each with its own unique character. Oceano is clearly the star of the three and includes five ocean-bordering holes that grabbed our attention every time we drove up to them. Because of Bajamar’s proximity to the ocean, the wind played a factor in shotmaking and gives the course some teeth. However, the course is very playable for most golfers (note: bring enough golf balls). The grounds crew keep the resort in very good condition, which was a nice surprise given we were some of the only golfers at the resort. The staff at Bajamar were extremely friendly and thankful that we came to visit. The food at the golf course was quite good, and the staff even drove the food out to us on the course. Having warm breakfast burritos with homemade tortillas delivered to us after putting out on the first hole was a really nice touch, especially given our 7am tee time and 36-hole day. We rented a 6-bedroom casa overlooking the course and the Pacific Ocean in the gated Bajamar community. The house was fantastic, well-priced, and waking up to a view of the Pacific Ocean through the window never got tiring. For dinner we headed to nearby La Fonda, an authentic Mexican hotel and restaurant with fantastic food and a really fun atmosphere. This is a must-experience restaurant and boasts some of the best lobster I’ve ever tasted. Driving across the border from California can be a bit of an adventure, but it’s not enough to deter us from taking this annual trip to our beloved Bajamar. Just don’t forget your passport, as you will need it to get back into the United States.